Serve meatballs a fun, new way that is guaranteed to please. Bake rolls following directions on package. Let cool. 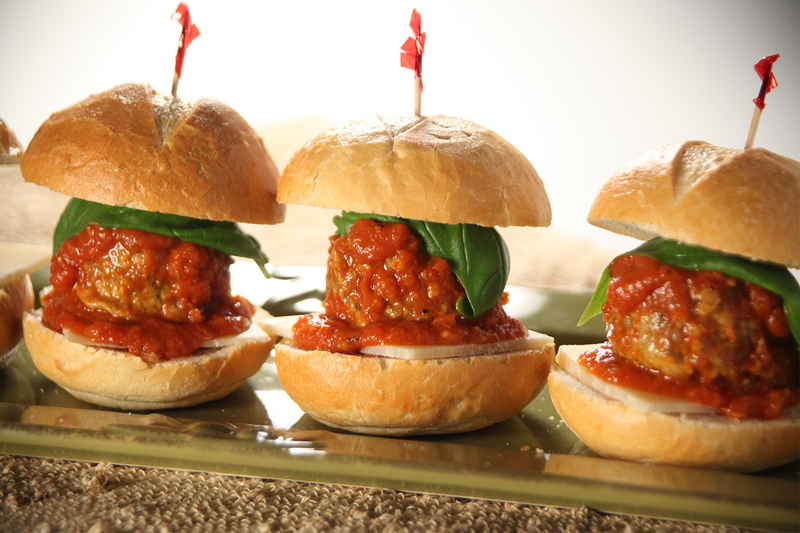 Split rolls and fill with marinara sauce, meatballs, cheese and basil.